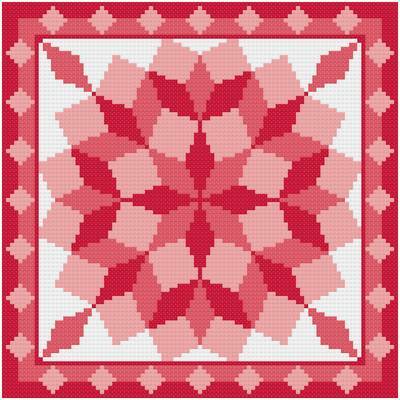 Round Tumbling Blocks cross stitch pattern... The tumbling blocks come together to form a circle. May choose preferred colors. All whole stitches. Could be used as a quilt block.